How often have you walked into your apartment dying of hunger only to find that a half jar of peanut butter, mustard and ketchup are the only edible things in the fridge? When starvation hits, all sense of control and rationality fly out the window. People tend to grab the jar of peanut butter or whatever nosh may be in the pantry and binge on a high-calorie snack, hoping to curb their appetite. They then proceed to fall through that vicious cycle where they are physically uncomfortable as well as hear internal voices of criticism, guilt and negativity. Sound familiar? Say goodbye to self-deprecation and unnecessary bloating. Learn to stock your fridge with these cheap and basic food items so that whenever you need a quick meal, you have healthy and balanced options. These foods last and are substantial, with enough crunch to satisfy your munch. Eggs are a delicious, versatile and satisfying protein option. 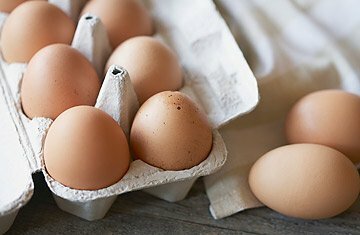 Each egg usually contains about 6 grams of protein, as well as choline, a nutrient proven to help with memory loss as well as lutein and zeaxanthin which support your vision. You can hard-boil, fry, scramble, poach or make eggs into a quiche or omelet! Eggs also have a longer shelf life than most proteins, thus making eggs a great product to always have in your fridge. Storing a box of baby spinach, kale, arugula or mixed greens is key to a balanced fridge. Having access to a nutrient-rich green means you are always able to have a salad, smoothie or stir-fry—ensuring that some fiber, nutrients and vitamins are making it into your meal. Boxes of greens tend to last for a week before wilting. Just enough time to be eaten and enjoyed! Who doesn’t love to munch on some delicious carrots? 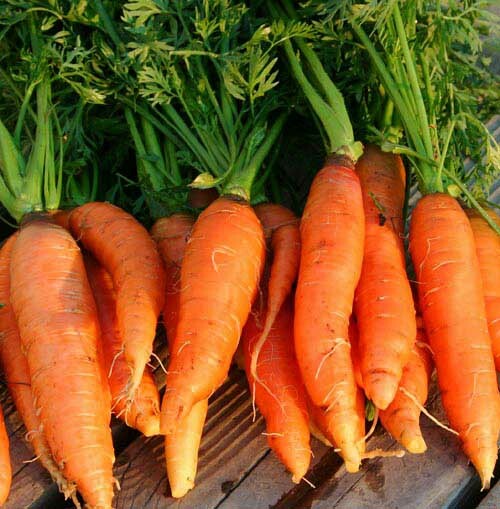 Carrots are a hardy vegetable that can stay in your fridge for a week or so and not go bad. They are a great vegetable to have on hand for a quick snack because of their satisfying crunch and sweet flavor. They can also be thrown in a salad or stir-fry! 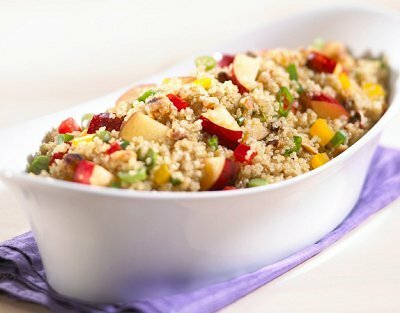 Quinoa is a great grain, full of protein, fiber and endless nutrients. It is smart to always have at least a bag of quinoa in your pantry if not a tupperware of already-made quinoa in your fridge. Boiling a serving in 20 minutes is great, but if you are pressed for time, having your quinoa prepped will be a game changer. Make a fast, easy stir-fry, salad or oatmeal variation with this healthy, nutritious and versatile grain. 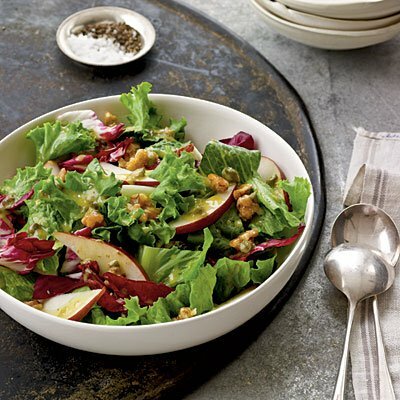 Apples are a hearty fruit and a satisfying pick-me-up or addition to any meal. 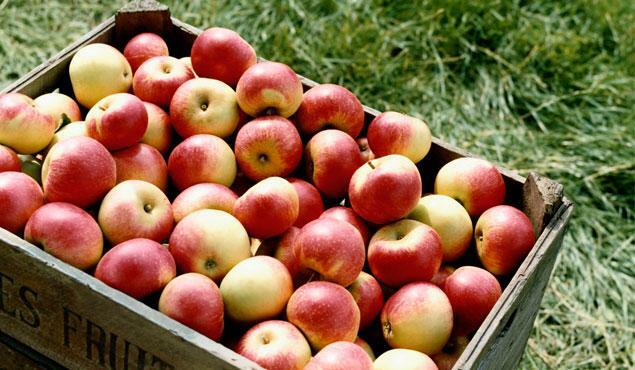 Eating an apple will give you natural sugar and fiber to keep you feeling fueled. Adding nut butter or a handful of nuts are great additions to make an apple a complete snack. Stocking up on these 5 simple and affordable food products will ensure that you never have to eat empty food for dinner again. Make a quinoa, Asian stir-fry with your leafy greens, carrots and an egg as your protein in less than 10 minutes. Maybe make a quick spinach omelet or even a salad with a hard-boiled egg. Get creative! Be mindful and make sure to buy these five items at the beginning of your week so you always have healthy balanced options tucked away in your fridge. Your week might get busy, but at least your health doesn’t have to be compromised.